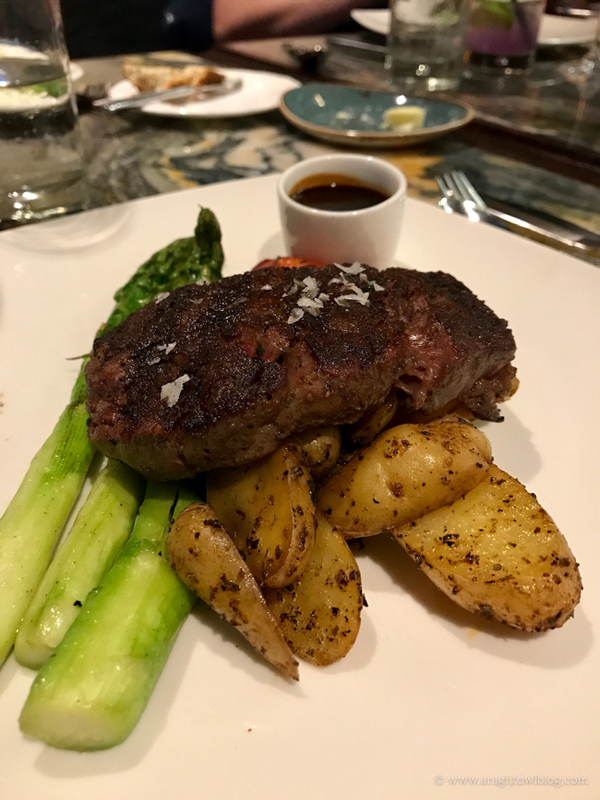 A huge thank you to our friends at Walt Disney World® Resort for inviting us to a recent Media Familiarization Trip and for sponsoring this content. As always, all thoughts and opinions are our own. From Disney’s Magical Express to Extra Magic Hours, we’re sharing 10 Reasons to Stay at Walt Disney World® Resort! 1. Disney’s Magical Express. Well this is a logical kick off to our list. 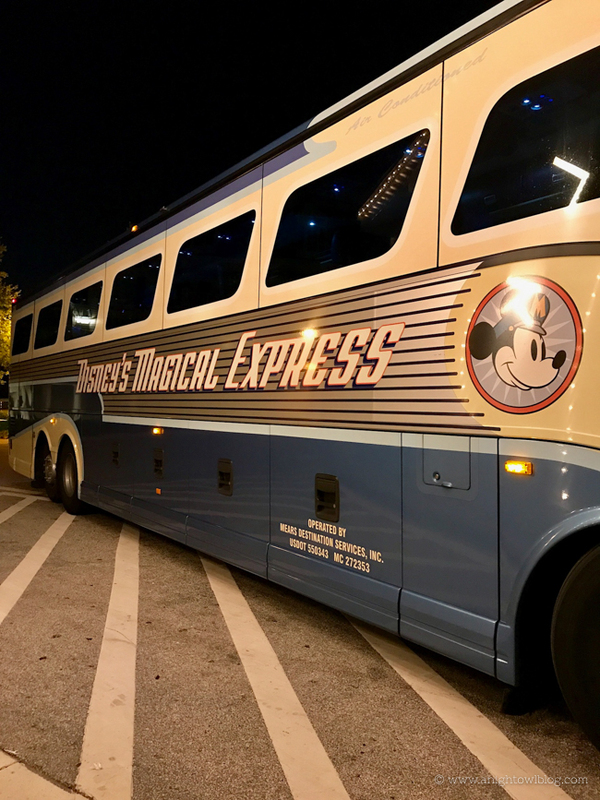 One thing that I LOVE about staying at a Walt Disney World® Resort hotel is Disney’s Magical Express! 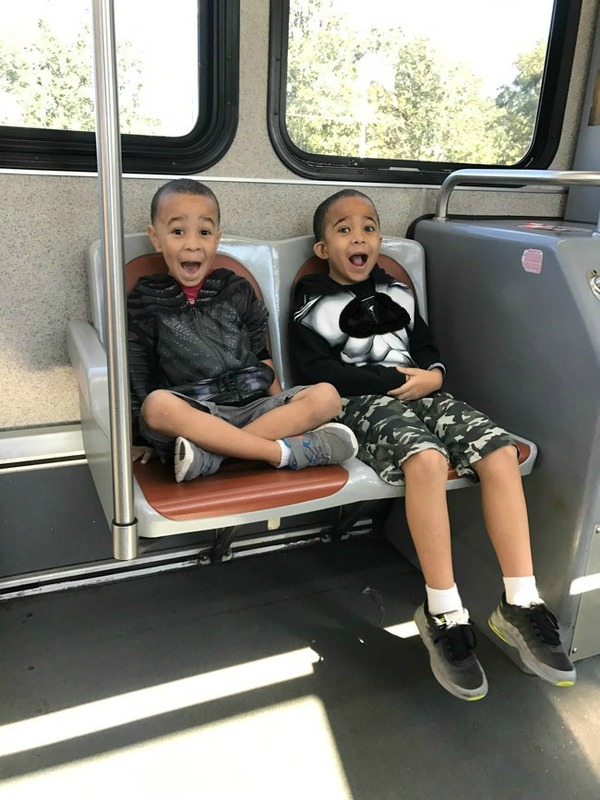 This is a free service that is located at the Orlando International Airport; Disney has it’s own little hub in the airport complete with Cast Members ready to assist you and large, gorgeous busses ready to whisk you away to your resort. If you fly certain airlines, Disney will even arrange for your bags to be taken to your hotel! But even if you’re not arriving on one of the designated airlines, just grab your bags at baggage claim, take them with you and they’ll load them on the bus and get them where you’re going. I don’t know about you, but transport to and from the airport is always a huge fuss for me, so having all of this taken care of just starts the vacation off on the right foot! If you have little ones, it’s also great to be able to easily get back to your hotel at any given time if the kids need to rest. I also have to say for the kids, special transportation like the monorail and the boats are a treat! 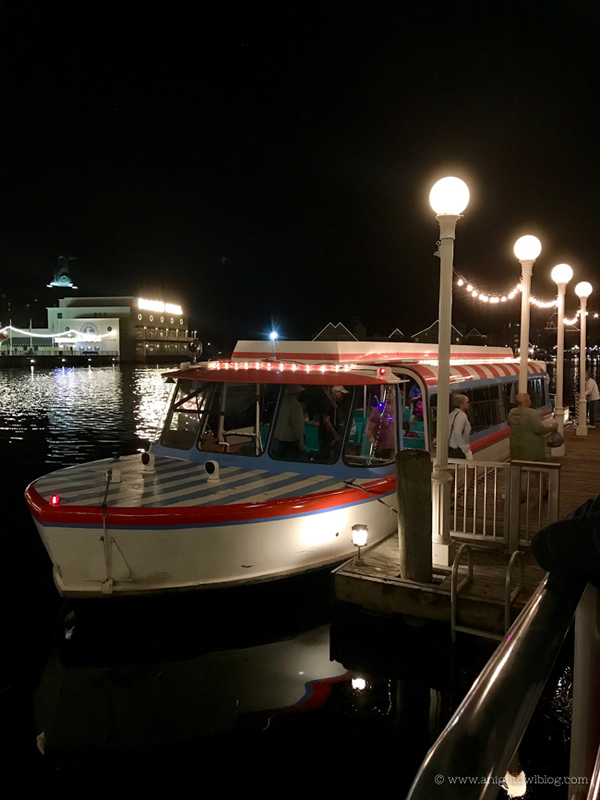 We have stayed at Disney’s BoardWalk and taking the boat to Disney’s Hollywood Studios® was a highlight of our stay. 3. Extra Magic Hours. 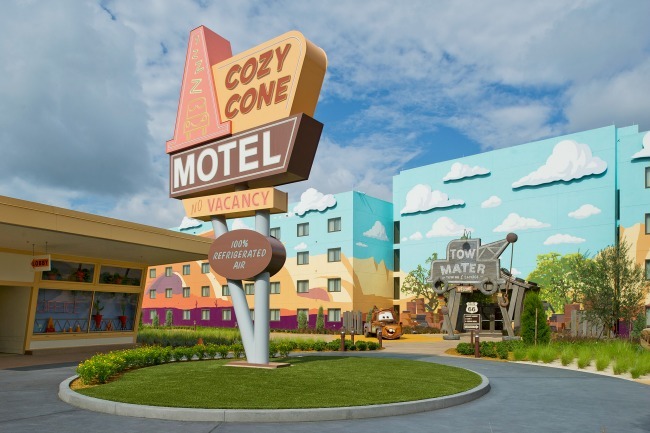 I realize to this point we haven’t even talked about the actual hotels yet and how AMAZING all of the Walt Disney World® Resort hotels truly are, but I promise you, we’ll get there. But something I need to mention here at the top of our list is Extra Magic Hours, what I think is one of the coolest perks of staying at a Walt Disney World® Resort! During Extra Magic Hours, guests of select Walt Disney World® hotels can enjoy time in the parks before they open and after they close! It’s such an amazing perk, especially if you want to start the day early and beat the heat, or hit certain attractions before the park is open to the public or even close down the park. One of our favorite memories from our first time at Walt Disney World® Resort is staying late atDisney’s Hollywood Studios® with the boys. Andre and AJ rode Star Tours ® –The Adventures Continues over and over while Alex and I did some late night shopping. It was so much fun! 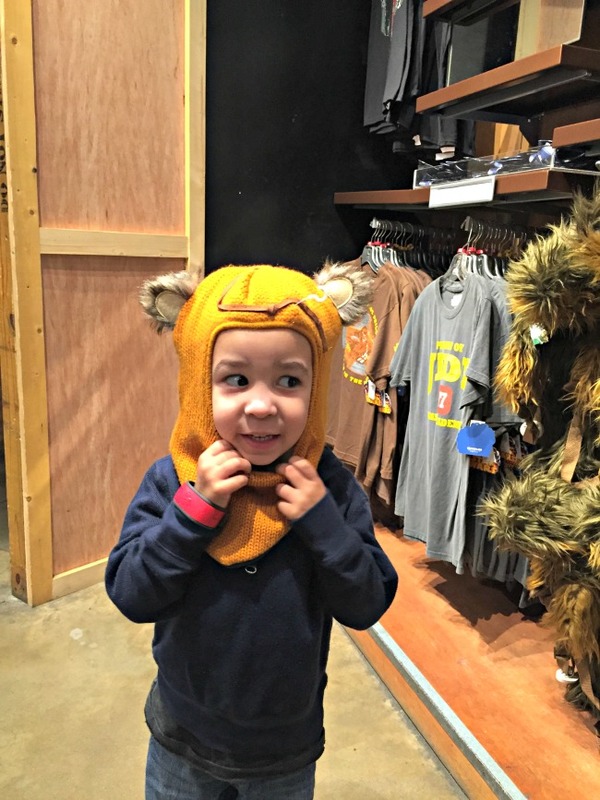 I mean, isn’t he the cutest Ewok you ever did see? 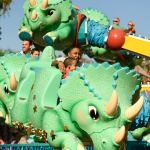 The big blue world of Nemo and friends, the Pride Lands of Africa, under the sea in Ariel’s grotto, a super-charged adventure through Radiator Springs — they all come to life for vacationers at Disney’s Art of Animation Resort at Walt Disney World Resort. Each of four distinctly designed wings celebrates rich storytelling, spirited characters, original sketches and playfulness with colorful icons and whimsical theming inspired by classic Disney and Disney•Pixar films. 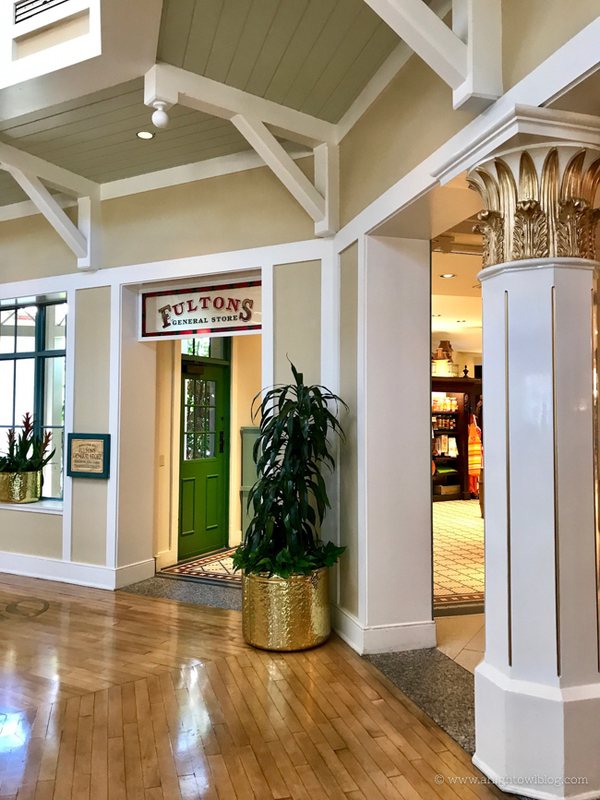 At Disney’s Port Orleans Resort, stately southern mansions, rustic bayou dwellings and ornate row-house buildings are recalled at a 3,056-room resort that features two “regions” — the French Quarter and Riverside. Southern architecture creates the setting for romance amid trees and flowers. The resort offers a step back in time into the heart and soul of the Southern region of our country. 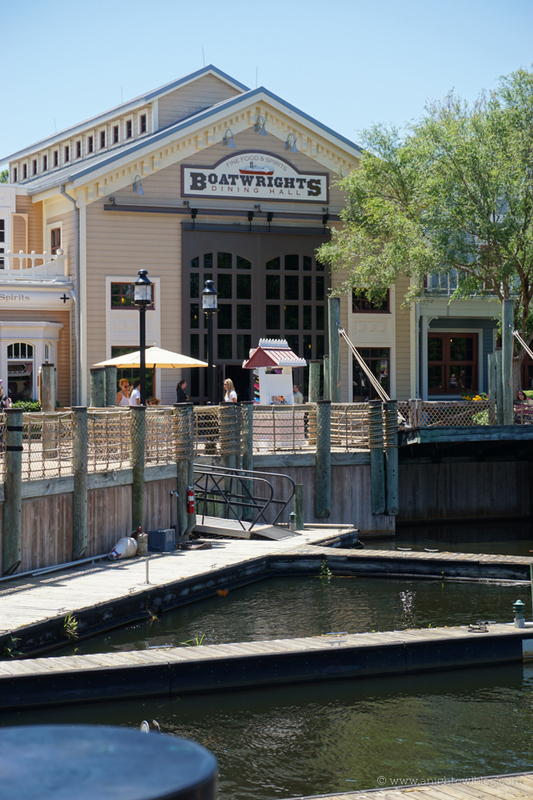 Disney’s BoardWalk revives and energizes the mid-Atlantic waterfront villages of the 1940s. As Walt Disney World Resort guests walk along the lively waterfront promenade, they can stroll into the shops and enjoy the unusual vendors, or dine at one of three restaurants or experience entertainment found nowhere else, like the up-to-the- minute sports action at the ESPN Club or the hip sounds at Atlantic Dance Hall. 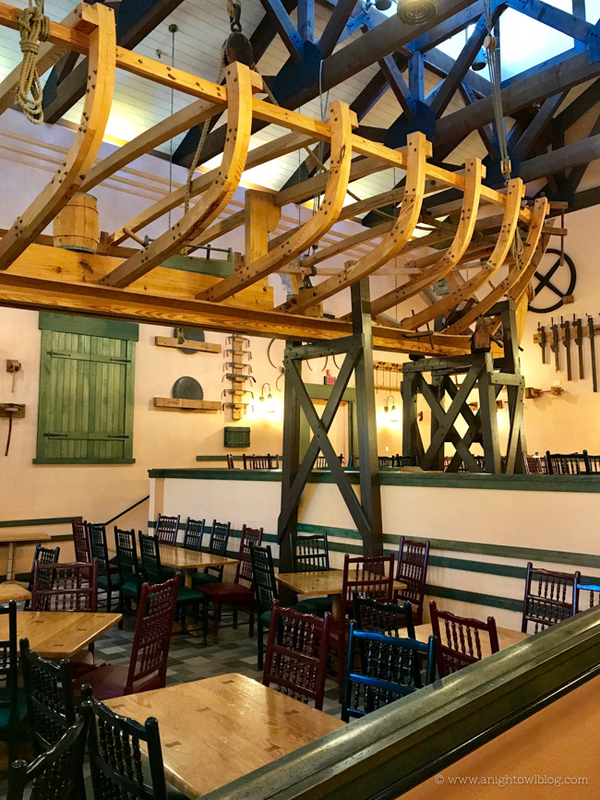 At Disney’s Port Orleans Resort the cuisine is varied, with a blend of Cajun specialties and American fare at Boatwright’s Dining Hall, a 208-seat family restaurant reminiscent of a wooden shipbuilding yard. The Riverside Mill food court, which seats 450, features pizza, Cajun chicken sandwich, freshly sliced meats, create-your-own-pasts and a bakery in a themed cotton-mill setting. 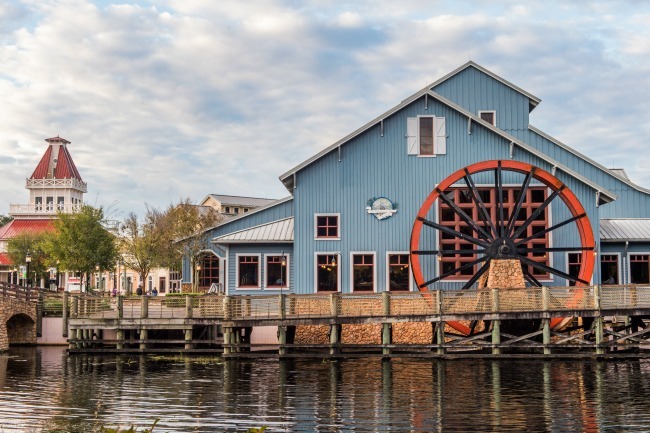 At Disney’s Boardwalk, there are dining opportunities for a broad range of tastes include: Flying Fish Cafe, which recently revamped its menu and has a renovated dining area; and Big River Grille & Brewing Works, featuring a full grill menu and handcrafted specialty beers. BoardWalk Bakery appeals to the “sweet tooth” with baked goods and specialty coffees. 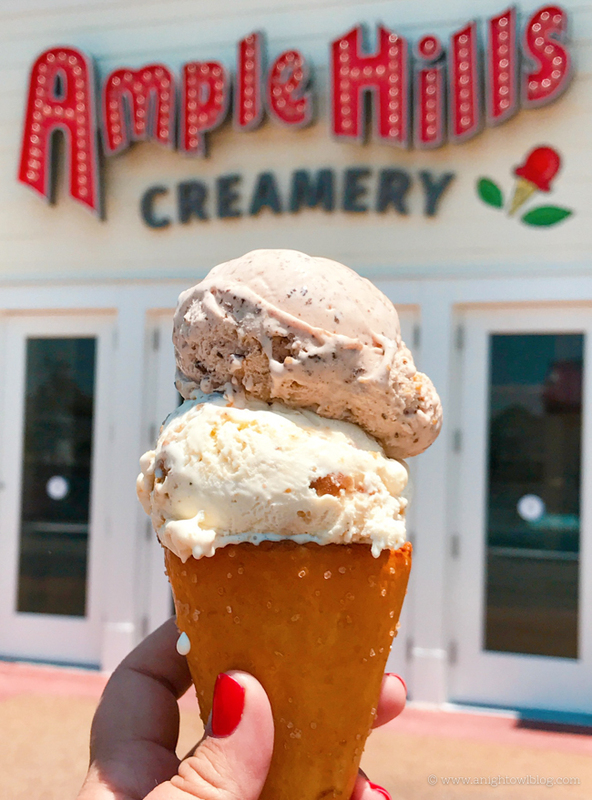 The new Ample Hills Creamery offers sixteen sweet, signature flavors, homespun milkshakes, sundaes and six different ice cream cone options, ranging from a classic waffle cone to a crunch chocolate chip cookie cone. 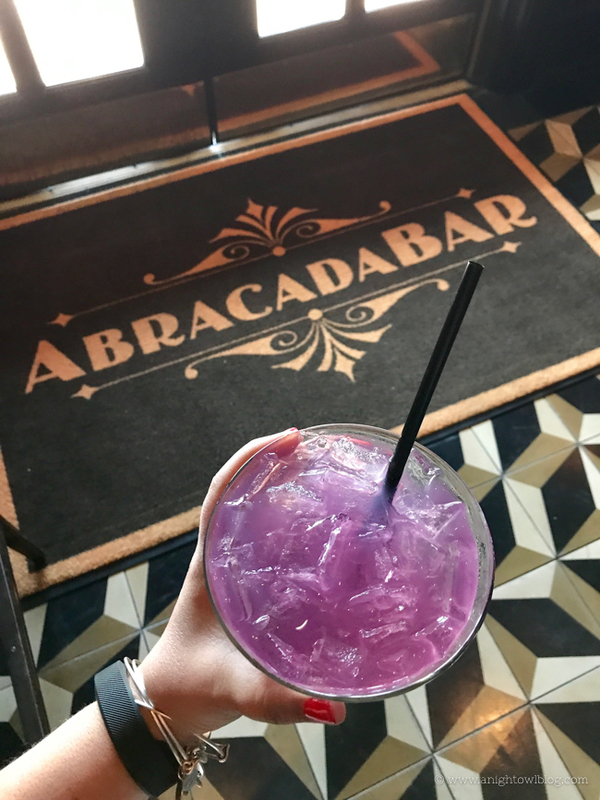 AbracadaBar Lounge “curious cocktail lounge” combines the Golden Age of Magic with the magic of Disney storytelling. Sanaa is located at Disney’s Animal Kingdom Lodge in the resort’s Kidani Village, a part of Disney Vacation Club. With interiors inspired by African art and remarkable views of the resort’s Sunset Savanna through 9-foot windows, diners experience “the art of African cooking with Indian flavors” in the 150-seat, family-oriented restaurant located on the ground floor just below the lobby. 6. Outdoor Spaces. 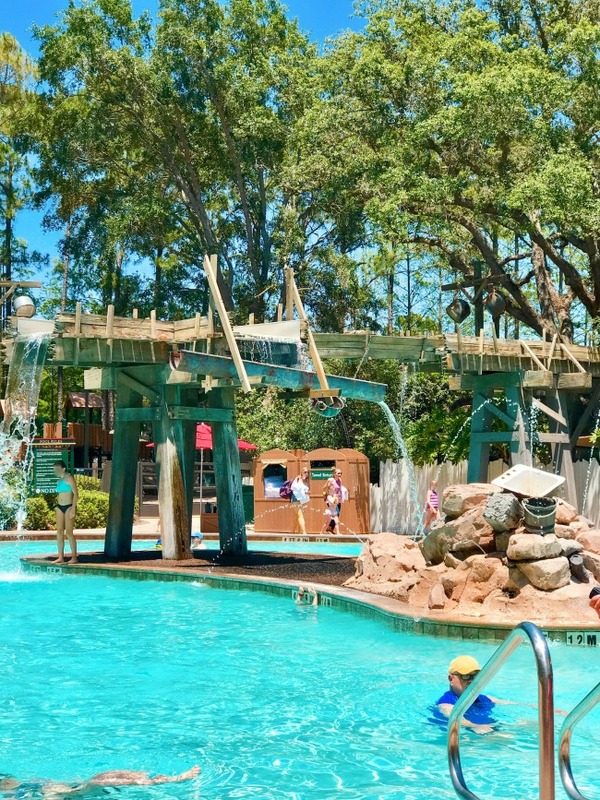 With all of the guests you’ll find at the amazing outdoor spaces at the Walt Disney World® hotels, you’d be surprised that the world’s best theme parks are just around the corner – they’re a vacation in and of themselves! 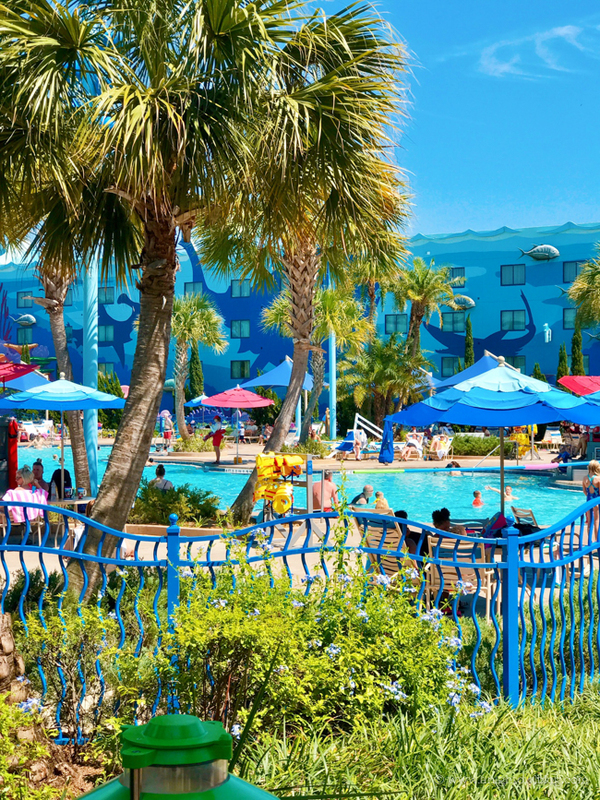 At Disney’s Art of Animation Resort kids of all ages can make a splash at the “Big Blue” pool — centerpiece of the resort — and the largest resort swimming pool at Walt Disney World Resort measuring 11,859 square feet. Guests will feel like they are swimming with Dory and Nemo as underwater speakers periodically pipe in music and messages from film characters. 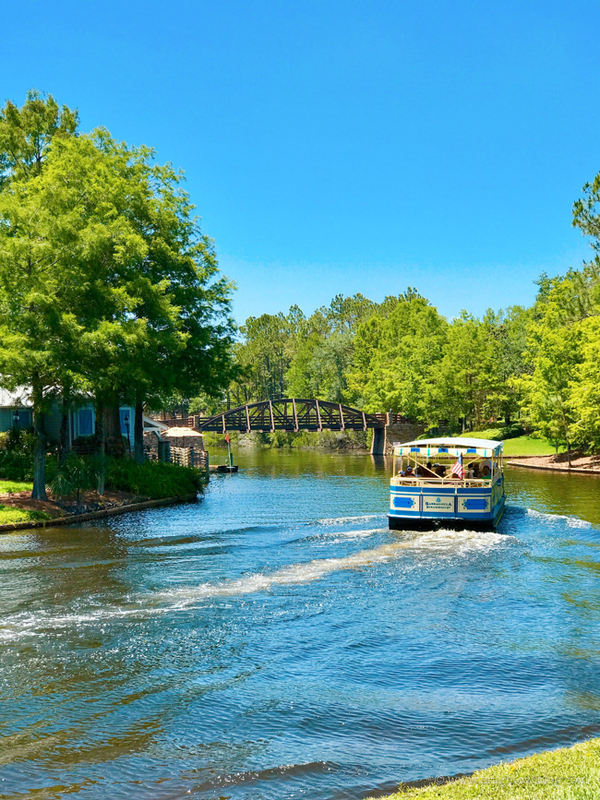 At Disney’s Port Orleans Resort – Riverside, the focal point of Ol’ Man Island is a 3.5-acre recreation complex with pools, spa, fishing hole and playground. And the Muddy Rivers pool bar on Ol’ Man Island will quench even the greatest thirst. At Disney’s BoardWalk, a roller-coaster-style slide propels youngsters of all ages into Luna Park — a carnival-themed pool with a carousel pool bar. In a second pool area, guests play in fountains spraying from the trunks of a herd of playful elephant statues. 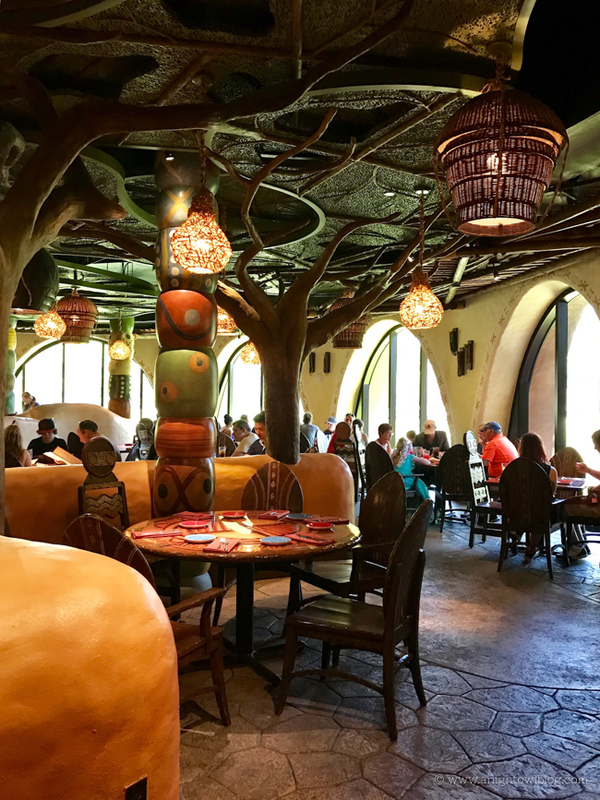 And famous Disney service and deluxe amenities combine to create an unforgettable adventure at Disney’s Animal Kingdom Lodge. The resort features a 9,000-square-foot, themed feature pool — which offers a poolside view of the savanna — as well as two bubbling spas. 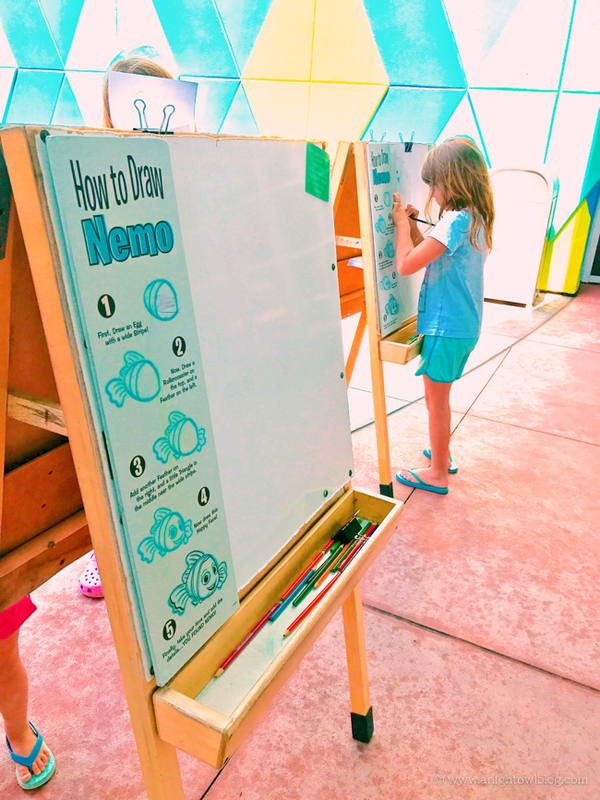 At Disney’s Art of Animation Resort, kids can enjoy the daily character artist in the “Finding Nemo” lobby, plus bingo, hula hoop contests, ping pong and nighttime movies, all poolside. 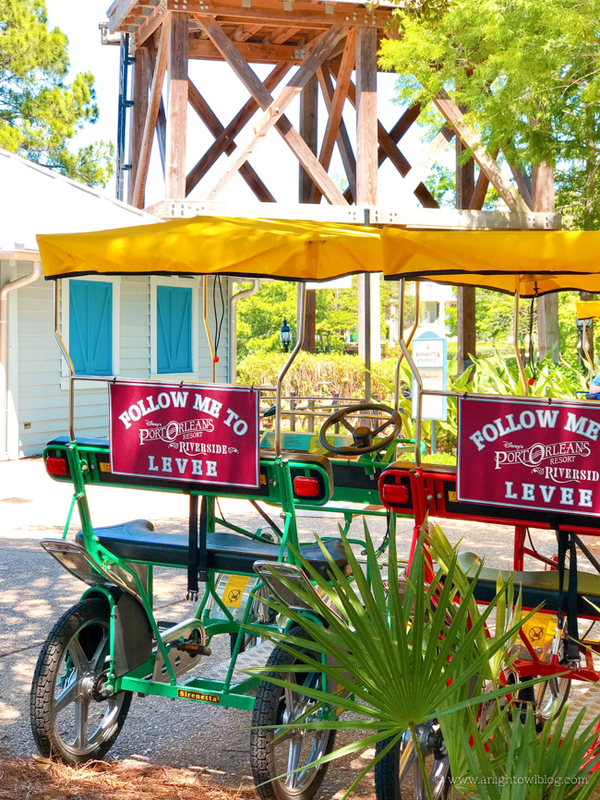 Bicycles and boats are available at The Marina at Disney’s Port Orleans Resort – Riverside. 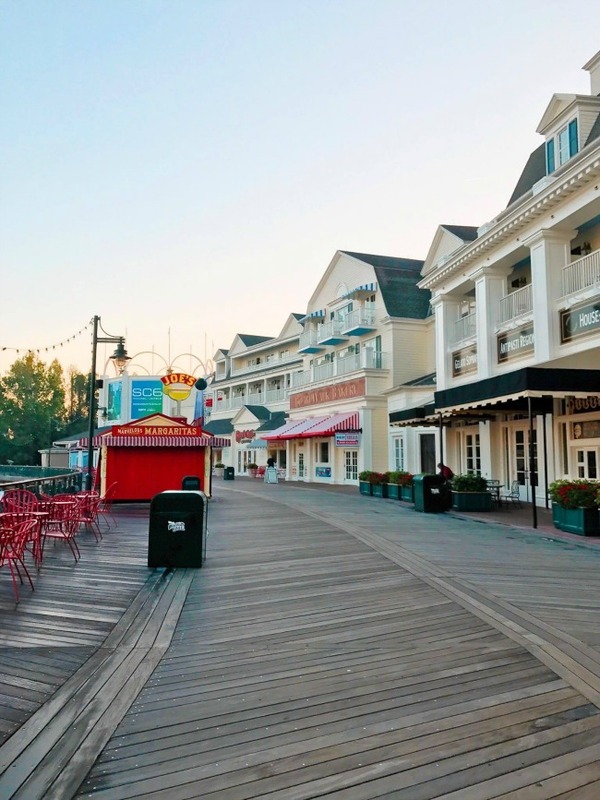 At Disney’s BoardWalk, guests can enjoy Muscles & Bustles health club, Harbour Club children’s activity club, arcade, tennis courts and lawn croquet. 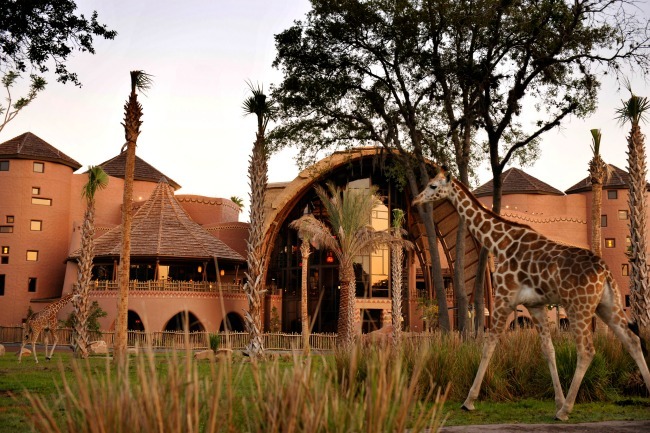 And at Disney’s Animal Kingdom Lodge, the Zahanati Massage and Fitness Center offers facials, body treatments and massage therapy. Featured for the younger set: Simba’s Cubhouse, a children’s activity center; Pumbaa’s Fun and Games arcade; a pool and the Hakuna Matada Playground. 8. Shopping. Another benefit of staying at a Walt Disney World® hotel is the shopping! Sure, there are plenty of places to shop in the theme parks, but I don’t know about you, but I like to dedicate specific time to shopping for our souvenirs. I love having access to much of the same products that are available in the theme parks and even MORE options than are in the parks AND being just around the corner from our room so we can drop things off. Then there is always that last-minute gift or trinket you forgot…you can hit up the shops like we do right before getting back on Disney’s Magical Express to head home! 9. Cast Members. The Cast Members at Walt Disney World® Resort truly bring the magic, and if you stay at a Walt Disney World® hotel you have access to them around the clock! I’ve shared this story here before, but I think it bears repeating. 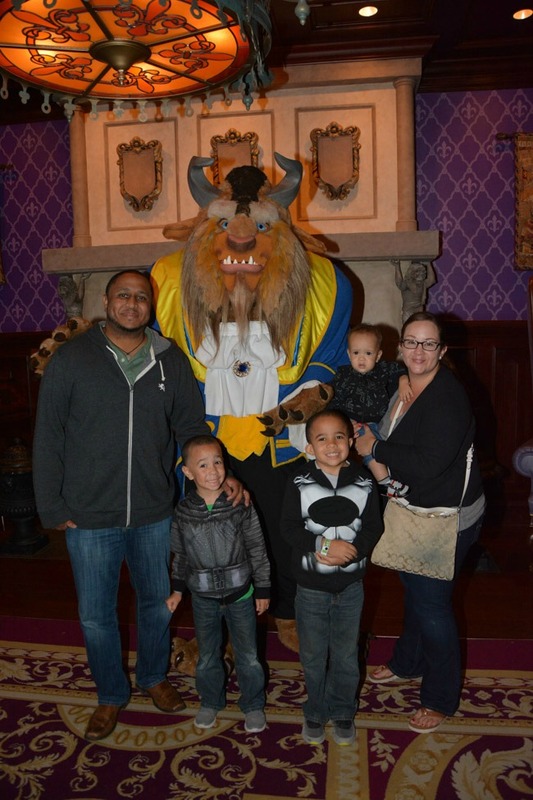 During our stay earlier this year we had Cast Members go out of their way to help us and to make our stay truly magical. Ryan, a concierge at Disney’s BoardWalk worked some magic to get us into Be Our Guest Restaurant after we had a bit of a scheduling mishap. While the mishap was 100% our fault, he did what he could to help and we made our reservation, which set an amazing tone for the entire trip! Had we not been at a Walt Disney World® hotel I can guarantee you it wouldn’t have worked out the way it had. We had the best experience and I know that so much of that is because of the labor of love that Disney Cast Members put into their job. And we’re thankful for it because our experiences were truly magical! 10. Child Care. 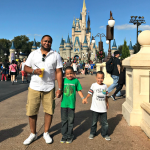 While visiting the Walt Disney World® Resort with children is truly a magical experience, I can tell you from experience, that hitting the theme parks with your significant other for date night is unmatched! That’s where another perk of staying at a Walt Disney World® hotel comes into play. Convenient in-room babysitting and children’s activity centers are available for the kids at select Resort hotels! With supervised activity centers or in-room childcare, parents can enjoy an evening out while the kids have a blast! 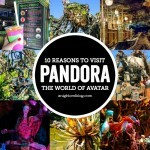 So there you have it – our 10 Reasons to Stay at Walt Disney World® Resort! And if we haven’t convinced you by now that you should stay, I’m not sure what will! I know for our family, there’s no where else we’d rather be. 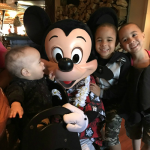 I hope our reasons and experiences will help you plan your next Disney vacation!